As an important symbol of our nation's unity and strength for more than 200 years, the American flag should always be displayed with dignity and respect. 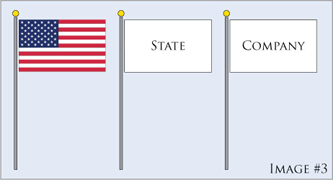 The general guidelines listed below will help you follow correct flag protocol as you display your flag. It is the universal custom to openly display the flag on buildings and on stationary flagstaffs only from sunrise to sunset. 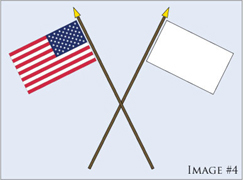 Flags may be displayed twenty-four hours a day if the flag is properly illuminated during the hours of darkness. 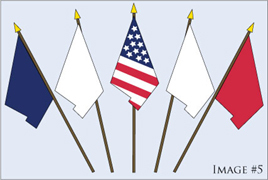 No other flag or pennant should be placed above, or, if on the same level, to the right of the flag of the United States of America, except during church services conducted by naval chaplains at sea. 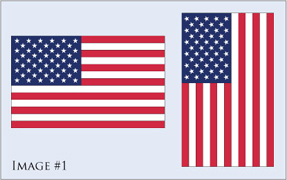 The flag of the United Nations or any other national or international flag should not be displayed equal, above, or in a position of superior prominence or in place of the United States Flag at any place in the United States or any Territory of the United States of America. However, it is not unlawful to do so at the headquarters of the United Nations.